Day and Law star with the bat. Both making classy half centuries on a very tough wicket! Thatcher does his best to keep Southwater in the game before taking a steepling caught and bowled to seal 30 points for the visitors. 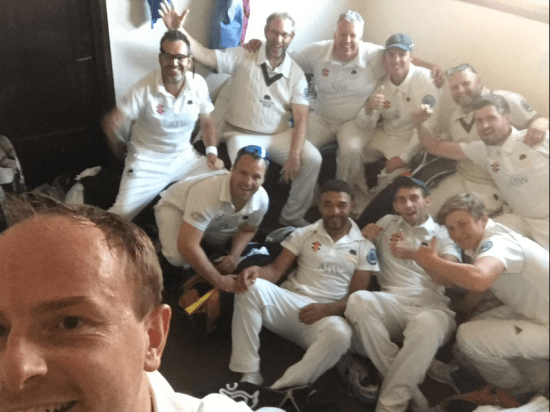 Nick Klein punishes bowling and knocks off total with quickfire 28. 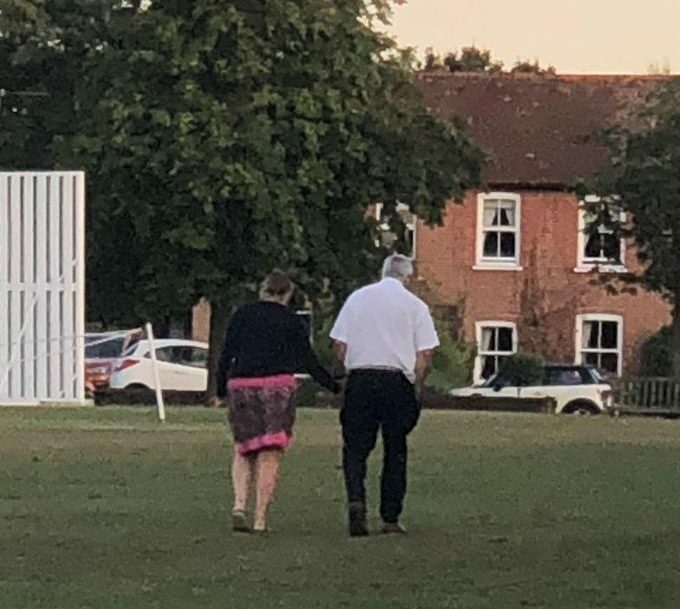 Local lovers spotted taking a romantic stroll back home after the game …. Both our senior teams will be in action this Saturday. Please click here for match details and team selections . Click here for fixtures for all age groups this weekend. 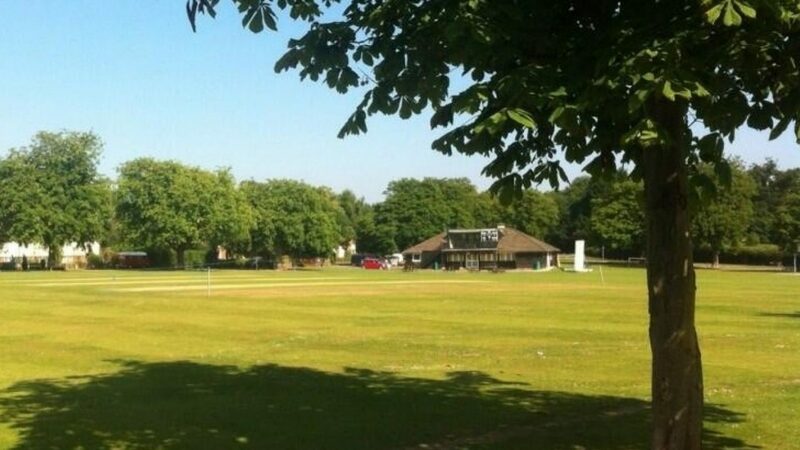 Barns Green are hosting a Women’s Soft Ball cricket event on Sunday 5 August at 1:30 pm. The invitation is to all the mothers, partners, sisters and friends of our club, to come along and #HaveAHit. This is an opportunity for women who may have never played cricket to just go along and have a go. Women’s Soft Ball Cricket is about getting out and playing with maximum fun and minimum fuss. No pads, no hard ball, no heavy bat, no head-scratching rules and definitely no judgment. It’s a game for absolutely everybody, no matter their skill level, fitness, or age. All attendees will get a warm welcome, a free festival T-shirt, music and prosecco afterwards. There will be fast, fun matches with 6-8 in a team. No problem if you want to sign up on you own – there will be many others in the same position and you will be included in a team. 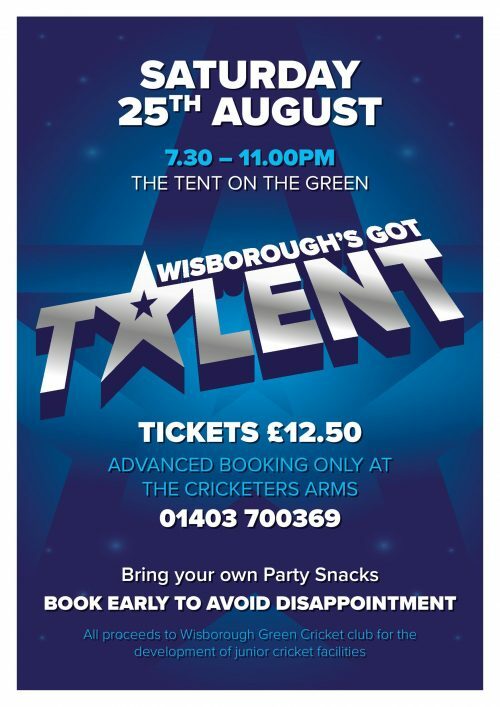 We are privileged to have well known comedian Bobby Davro who will host and compere the evening as well as introducing the race card and coordinating all the activities that will take place in the big marquee on the green. 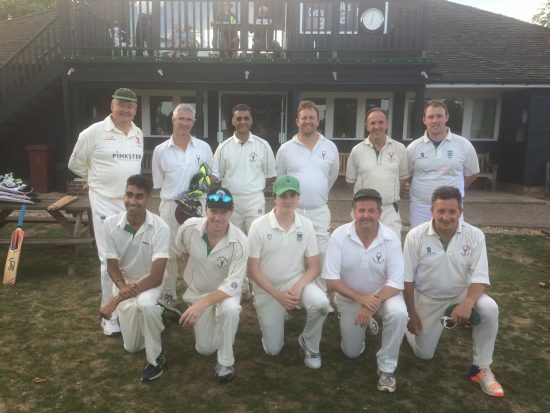 The First XI visited Southwater on Saturday, for what is likely to be our final match on their current ground, our hosts scheduled to move to their new home next spring. After a week of sweltering temperatures, there was a significant change for Saturday, jumpers (and an umpire’s coat) emerging for the first time in weeks. 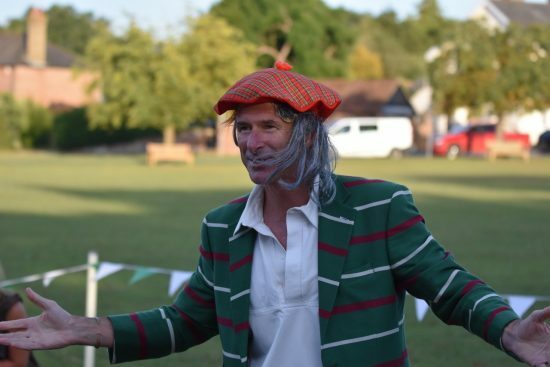 The pitch, featuring many uneven tufts of grass, did not look to be a good one and, upon winning the toss yet again, skipper Jim Sadler was very unsure what to do, before eventually opting to bat first. Southwater began the match with only nine players. Skipper Alex Harding, late due to work, joined the action after two overs, but the eleventh man did not arrive at all. This proved to be crucial in what was to be a very tight encounter. D.J. 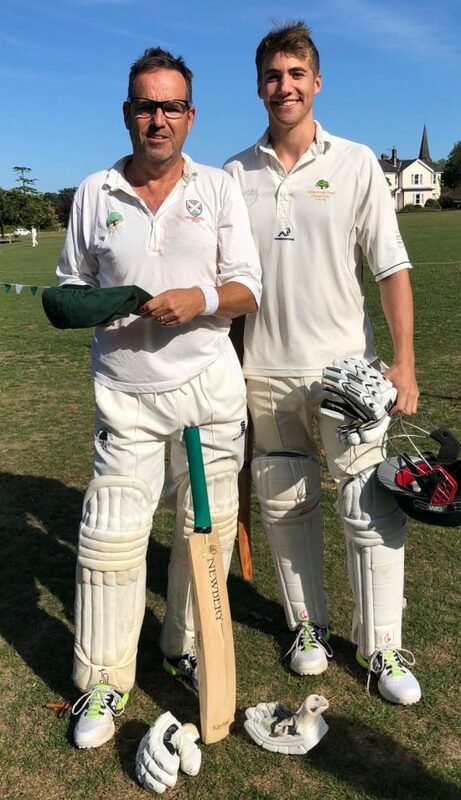 Dominique and Tim Dodd opened for the second week in succession, in fact becoming our first pair of batsmen to open together twice during the season. It was soon clear that the pitch would not play better than its appearance suggested, with both batsmen soon struck on the gloves playing forward to good length balls, which was to be a feature throughout the afternoon. However, both generally began well, D.J. striking three well-struck boundaries between square leg and long-leg and Tim, having survived a decent shout for l.b.w on 0 (struck outside the line of off-stump) playing several sweetly-timed drives, the best, which opened his account, skimming along the ground wide of mid-off. Both were dismissed, though, by the Southwater skipper, in his first two overs. First D.J. 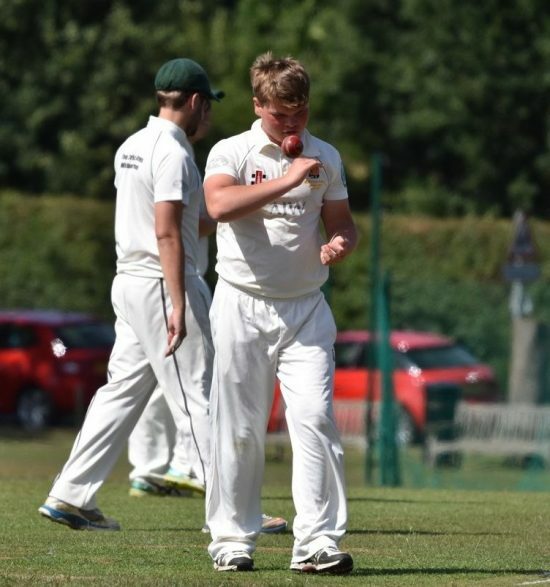 (12) edged a ball that bounced more than expected to ‘keeper Matt Shuttlewood, then Tim (19) was bowled. 34 for 2 in the 7th over. Alan Law soon made his intentions clear, ferociously attacking any loose deliveries and even some that were not. His approach certainly paid off and the momentum of the match soon swung in our favour. 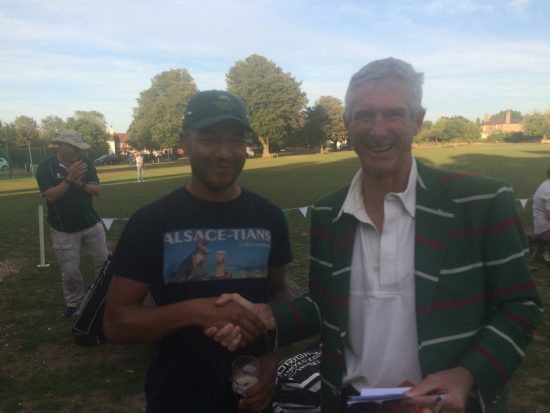 Having already struck two boundaries, Alan launched the fifth ball he received, from the expensive Paul Tillier (0 for 57 off 7 overs), over mid-wicket for six, and continued to score at a rapid rate. Mark Day, happy to play second fiddle, offered good support, ending Tillier’s spell with three consecutive boundaries, the first of these (an immaculate straight drive) resulting in the first of several lost balls during the afternoon. Remarkably, the first 17 overs of our innings each contained at least one boundary. 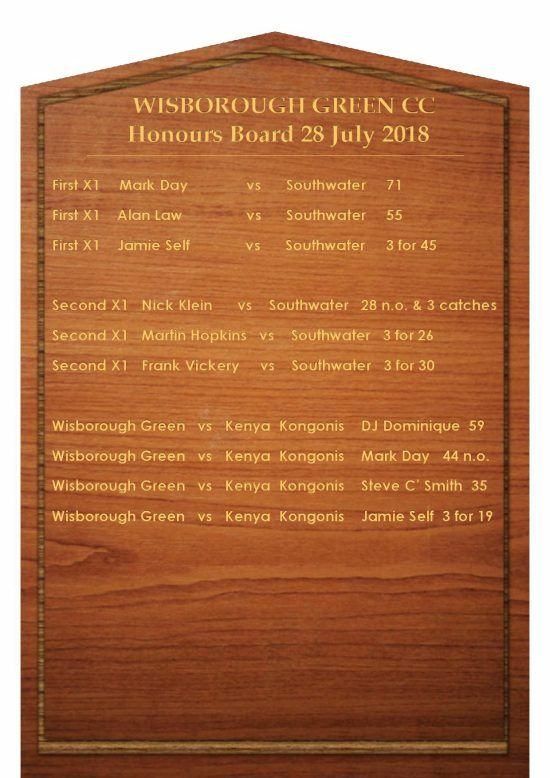 In the last of these, Alan punched slow bowler Greg Young through extra-cover to reach his second half-century for the club. He was then dismissed, for 55, ending an excellent partnership of 92 in a mere 11 overs, l.b.w sweeping Johann Brouwer. 126 for 3, in only the 18th of our 40 overs. Mark completed his fifth half-century of the season, including four in the last five matches. 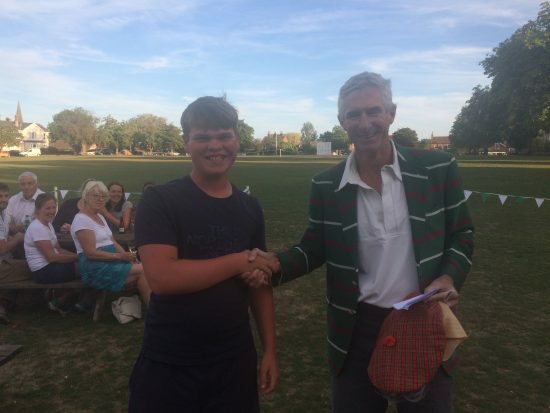 Although Southwater’s bowling attack was not a strong one, the manner in which he played on a tough pitch made this probably his best innings so far. It also proved to be his highest score so far, Mark moving onto 71 before being dismissed in strange fashion, caught by ‘keeper Shuttlewood, who had covered considerable distance towards third-man, after Mark had miscued Harding. Mark’s innings had included two sixes, the first over long-on against the generally frugal Brouwer (1 for 29 off 9 overs), the second over square-leg against Young. The latter, although bowling well at times, was fortunate to claim three wickets; first Jim, who played cautiously but without much difficulty, chipped a short ball to cover, then Jamie Self and Ben Thatcher were both dismissed by full tosses, caught-and-bowled and caught at deep square-leg respectively. At Mark’s dismissal, we were 200 for 7 in the 33rd over, now looking in some danger of not batting for our full allotment of overs. A sensible, important unbroken stand of 38, between Steve Calder-Smith and James Rainford, followed. The most memorable strokes of the partnership were two boundaries to mid-wicket from the Chairman in the final two overs, the first after he had advanced down the wicket to Harding. He was fortunate, though, to be dropped at point the ball after this, the only spill in out innings. 238 looked to be a useful total although, even on such a surface, it is a hard ground on which to limit scoring and we were certainly aware of the strength at the top of the Southwater order. Hard-hitting left-hander Nick Baker is the leading run-scorer in the division this season but could have been dismissed by the first ball of the second over, bowled by Ben Thatcher, Jamie Self just unable to hold on at long-off after it had initially seemed that he had pouched yet another catch. Reprieved, Baker scored 14 runs from the final three balls of the over, Ben struggling to attain a good rhythm running up a considerable slope into what was often a strong wind. Things didn’t improve for him in his second over, Alex Harding striking the first two balls straight for 6 and 4, before Ben gained a measure of control for the rest of his spell. From the other end, James Rainford, although threatening at times, was less effective than he has usually been this season, generally bowling a little too short. However, having seen him dropped by Hugo March at cover a few balls before, he did claim the important wicket of Baker in his third over, caught behind by D.J., although the batsman’s slow departure from the crease suggested he thought it had just struck his leg. Harding continued to score runs almost as fluently as Alan had earlier, several savage pull strokes a particular feature of his innings. 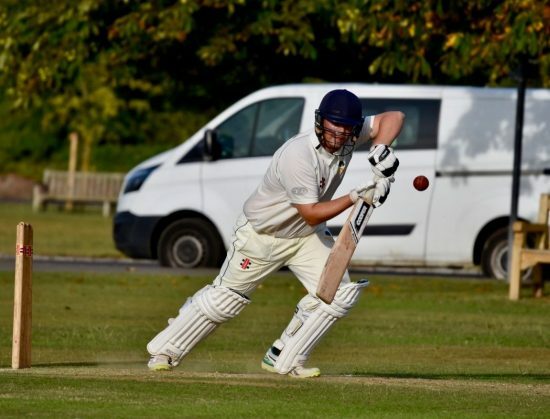 However, the stroke almost caused his downfall, Jamie surprisingly spilling his second chance of the innings, at deep mid-wicket, off James Rainford. “London buses” was Jamie’s sardonic comment soon afterwards. Although he had not had the happiest afternoon with the bat or in the field, Jamie was to produce a vital spell, however. In his first over, having been very close to bowling him with a delightful off-cutter from the previous ball, Jamie induced an inside edge from Harding (49) onto his stumps, from a ball of close to yorker length. 79 for 2 in the 12th over. After an expensive final over of his spell from James Rainford, one of the quieter passages of this eventful match now ensued. 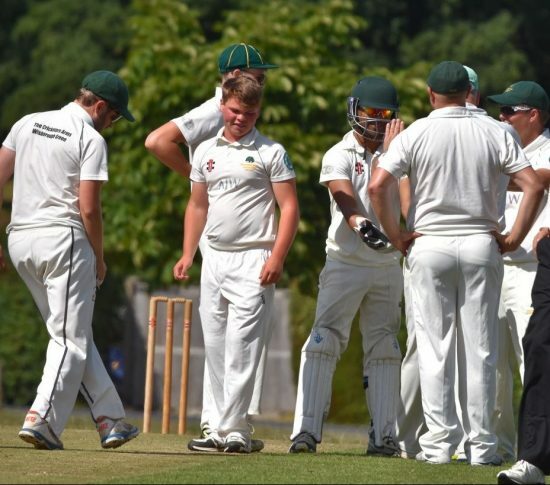 Although unable to claim any wickets, Hugo delivered a very impressive spell of 7 overs for only 24 runs from the Pavilion End and troubled the experienced pairing of Johann Brouwer and Danny Humphreys on a considerable number of occasions. The score reached 124 for 2 after 21 overs, the run rate intriguingly almost exactly what was required overall. The 22nd over was to be the most exciting of the match, the huge frame of Humphreys, who had played with restraint up to now, launching Jamie over mid-wicket and straight for consecutive sixes, the bowler responding with a brave, accurate slower ball, which the batsman defended, before hitting his off stump as he fatally played back to ball of full length. Jamie claimed his third wicket in his next over, trapping James Drew plumb l.b.w., again the batsman playing back. Jamie’s figures of 3 for 45 do not fully reflect how well he bowled. The match continued to ebb and flow. 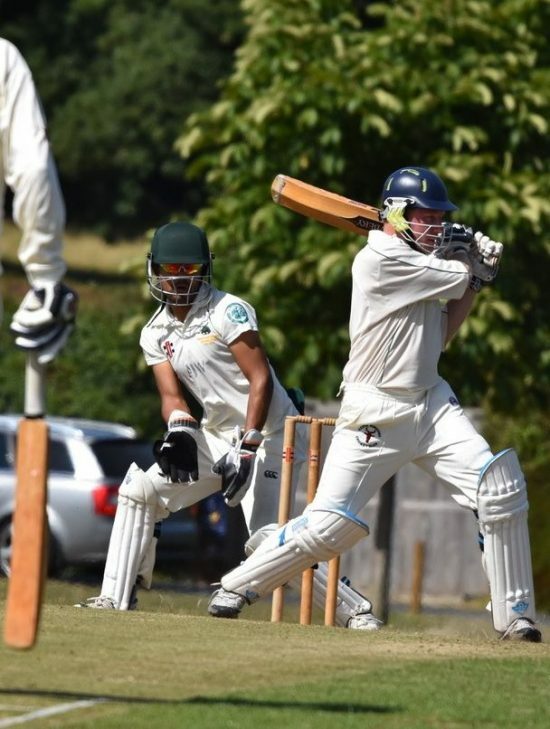 Brouwer, as in the match at Wisborough Green in May was never able to attain complete control but reached a sound half-century in Jamie’s final over, lifting him over mid-wicket for six. Having reached 61, he was bowled through the gate by Alan Law, his wicket understandably prompting big celebrations from the team. In the over before, Chris Marshall had claimed a wicket with his second ball, Young skying a low full toss to Hugo at mid-wicket. The experienced Shuttlewood was soon batting in his customary busy, energetic way and looked to be a good man for the situation. However, he was unwise not to send teenager Marcus Laker back, after the latter had pushed a full toss from Ben onto the leg-side, the bowler narrowly running the striker out. Shuttlewood then struck Alan onto the pavilion roof for six, before the bowler claimed his second wicket later in the over, trapping Hogan l.b.w. for 0. 210 for 8 after 35 overs, 29 required from the remaining 5, or just one more wicket, Southwater having only ten players. The last-wicket pair made a brave attempt to give their side victory. Shuttlewood struck Ben straight for the eighth six of the innings before, to especially noisy acclaim, Tillier struck Alan to the extra-cover boundary. When Shuttlewood hit Ben through mid-wicket for four, the target had been reduced to just 7 from 15 balls. From the second of these, in attempting to level the scores, Shuttlewood miscued his attempt drive against Ben very high into the air. 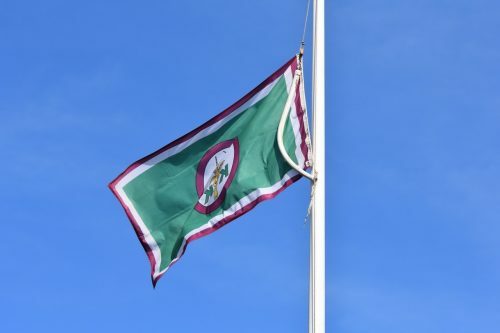 Despite the ‘oohs’ and ‘ahs’ from a fairly large crowd at the pavilion, while the ball was in the air, Ben held his nerve admirably, holding the steepling caught-and-bowled a few metres to the right of the stumps. For the second time in three weeks, he had taken the final wicket in a very tight finish. In fact, this is turning into a season of many tight finishes. We have now won matches by the slender margins of 10 runs, 11 runs and 6 runs, which shows tremendous spirit. 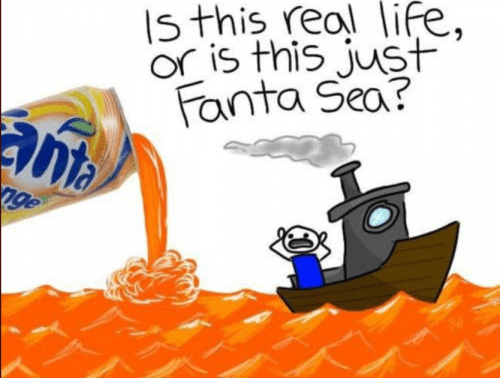 There have also been two draws in which the outcome was only confirmed on the final ball and another in which it was only confirmed on the penultimate ball. This was a strange match, as the number of runs scored (470) were certainly not a reflection of the playing surface. Nevertheless, it was certainly played in a good spirit, although Southwater only having ten players was a key factor in our favour. 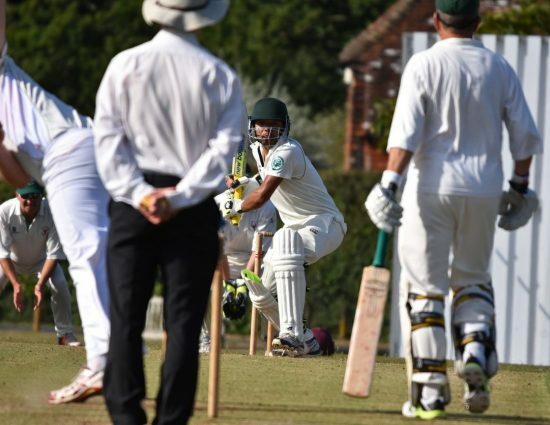 Steyning II are the visitors to the Green this Saturday. They have avoided defeat only twice this season, one of these against us. We will be keen to put things right this time.